Andrew Pongracz is a member of the California State Bar and is admitted to practice before all California Courts as well as the United States District Court for the Central and Eastern Districts of California. 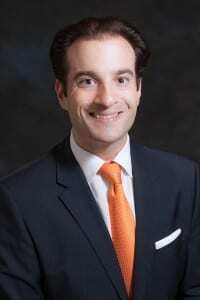 Mr. Pongracz graduated from Occidental College and Southwestern University School of Law. From 2008 through 2010, Mr. Pongracz was an associate at Fink & Steinberg, a boutique litigation firm in West Los Angeles. Mr. Pongracz’s practice focused primarily on appellate litigation, complex civil litigation and employment litigation. At Fink & Steinberg Mr. Pongracz argued multiple cases before the California Court of Appeal, Second Appellate District. He also handled numerous multi-million dollar business cases at the trial level, practicing primarily in the Los Angeles and Orange County Superior Courts. Mr. Pongracz’s practice also included advising companies on employment practices, terminations, executive compensation, and securities matters. Currently, Mr. Pongracz’s practice areas include public entity defense, business litigation, transactional consulting, and general litigation. He has tried numerous cases in both Federal and State court and has conducted hearings before the California Department of Industrial Relations, Division of Labor Standards Enforcement. In 2017 and 2018, Mr. Pongracz was named a Southern California Rising Star by Super Lawyers Magazine. Mr. Pongracz volunteers at Occidental College and is an active member of its alumni network. Mr. Pongracz also volunteers at be dandi: a non-profit dedicated to promoting collaboration amongst charitable organizations. Mr. Pongracz is a member of the Los Angeles County Bar Association’s Employment, International Law, and Litigation Sections.